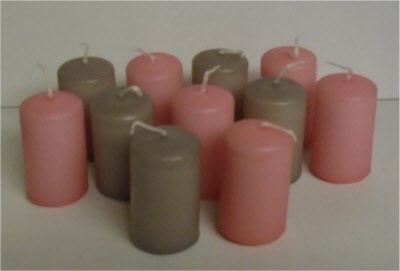 75 x 50 mm, 36 hour burn time white pillar candle. 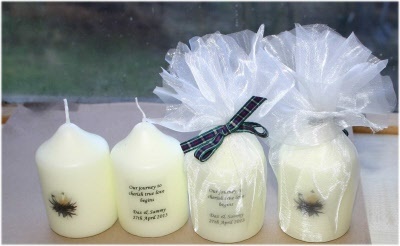 Price includes wrapping, ribbon colour of your choice from list, picture on front of your choice or from our standard list. 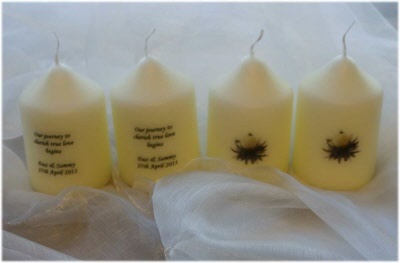 You can also have text of your choice up to 15 words and or picture to print on the back of candle. (£0.40 extra). We supply these in white or ivory wrapping other colours are available however only the white or ivory will allow the text to be seen through the wrap. Click more images for more examples.